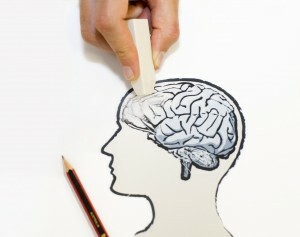 Alzheimer’s disease and logopenic aphasia: Two faces of the same coin. Getting lost in shopping malls, leaving doors unlocked and difficulty remembering what you ate last night are situations that caregivers and patients with Alzheimer’s disease know well and have to deal with every day. Yet, what would you think, if instead of getting lost, someone had trouble finding the right word? Would you still call this Alzheimer’s disease? Although memory impairment has been traditionally regarded as the core deficit of Alzheimer’s disease, language problems characterised by word-finding pauses, hesitant speech and an inability to name objects have now recognised in a significant proportion of cases. 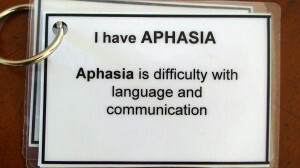 The distinction of this form of aphasia – better known as logopenic progressive aphasia, or LPA – is not only of scientific interest, but has clinical implications since this clinical variant seems to have a unique nosology (disease classification) that differs from typical Alzheimer’s disease and other forms of primary aphasia. Patients with LPA show a distinctive pattern of brain atrophy centred on the left temporo- parietal junction, which differs from that found in Alzheimer’s disease. Again, although both conditions bear exactly the same pathological changes (amyloid deposition, neurofibrillary tangles and neuronal loss), but LPA cases have a different distribution and extension of these changes. Not only do those cases have a greater overall deposition of neurofibrillary tangles, they also display a higher proportion of tangle deposition in the left perysilvian language cortices. The distribution of neocortical amyloid, interestingly, seems not to differ from typical Alzheimer’s disease cases. Besides clinical and pathological differences, there are possibly genetic differences. Although the available studies are limited, the presence of Apo E 4 polymorphism, which is a risk factor for Alzheimer’s disease, is not found in LPA cases. Another interesting finding that supports the nosological identity of LPA is its biological behaviour over time. In contrast to other forms of aphasias caused by neurodegenerative processes in which cognitive deficits remain confined to language impairment for a number of years, cases with LPA and typical Alzheimer’s disease cases progress with impairment in other cognitive domains, evolving to overt dementia within 12 months. Furthermore the cognitive deterioration in LPA cases occurs more rapidly than in cases with typical Alzheimer’s disease, emphasising the distinctive biological behaviour of LPA. Despite recent advances there are still unsolved questions. For example, why are the same pathological changes present in typical Alzheimer’s disease and LPA but yield different clinical phenotypes and biological behaviour? Knowing the answer to this question would reveal how the disease spreads and why some neuronal populations are more resilient than others. Cristian Leyton is a PhD student with the Hodges Group studying cognitive impairment, language, and brain imaging in frontotemporal dementia at NeuRA.